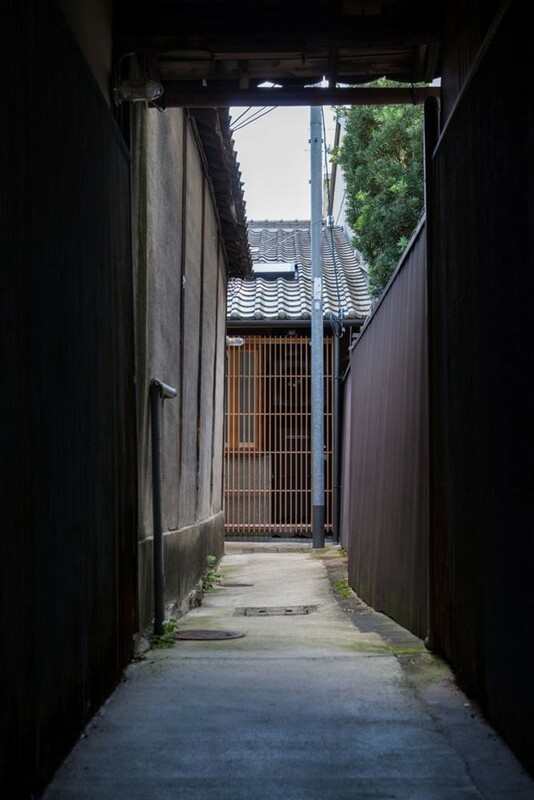 Faced on the small street of central Kyoto, the original building was a typical townhouse, Machiya that was about 100-year-old. 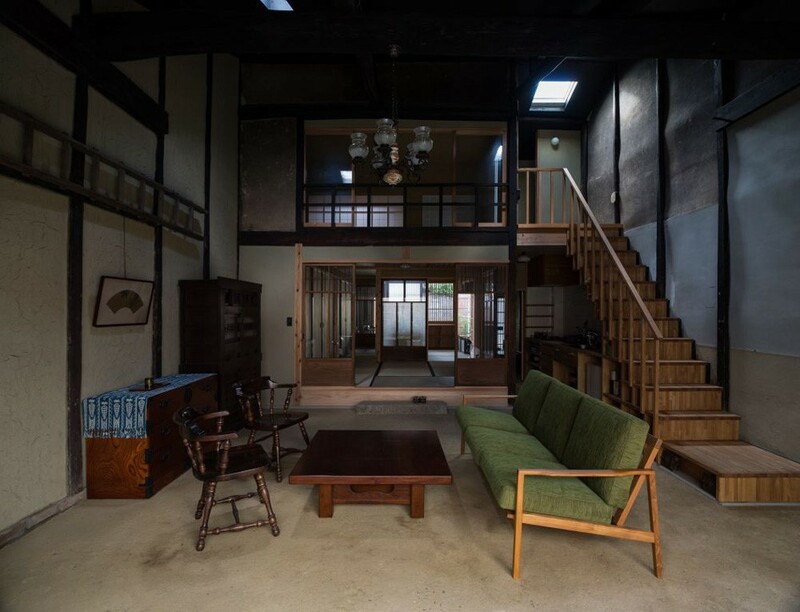 Before abandoned, it was used as a workshop for weavers. 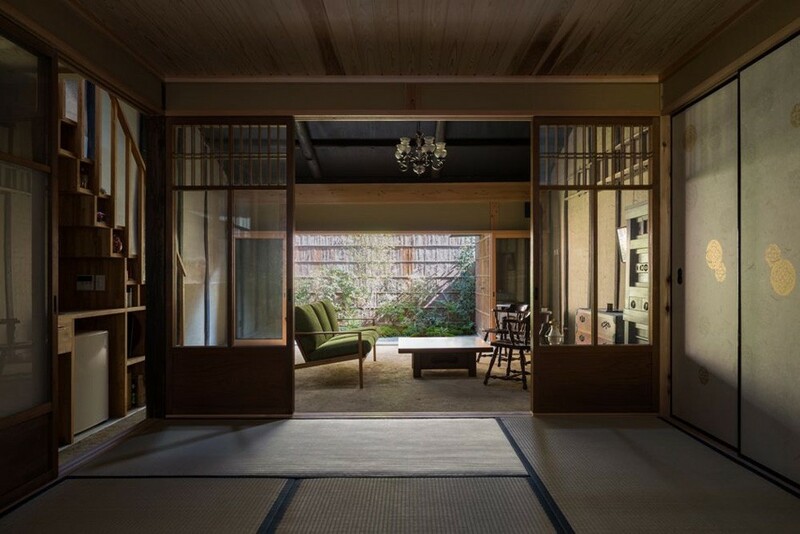 In this rehabilitation, the house was re-designed as a weekend house. 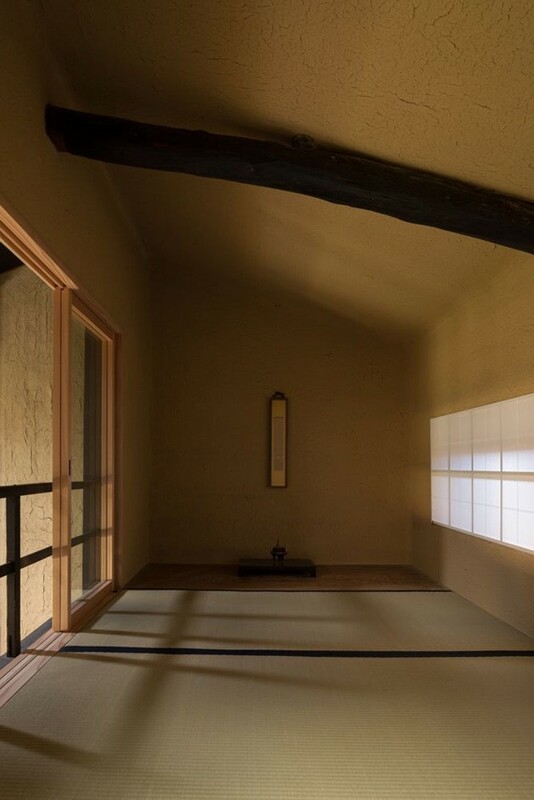 The earthen floor space, an important component of Machiya is called “Hashiri-niwa“, meaning “Passing garden“, and it is one of the most primitive elements of Japanese traditional house. 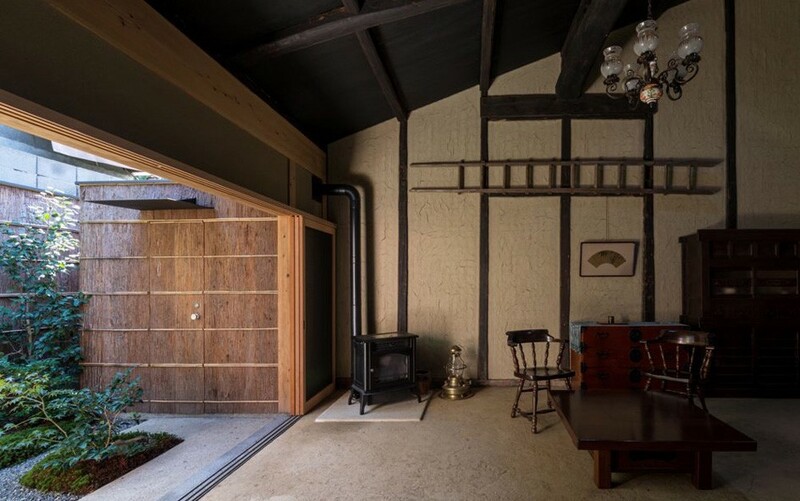 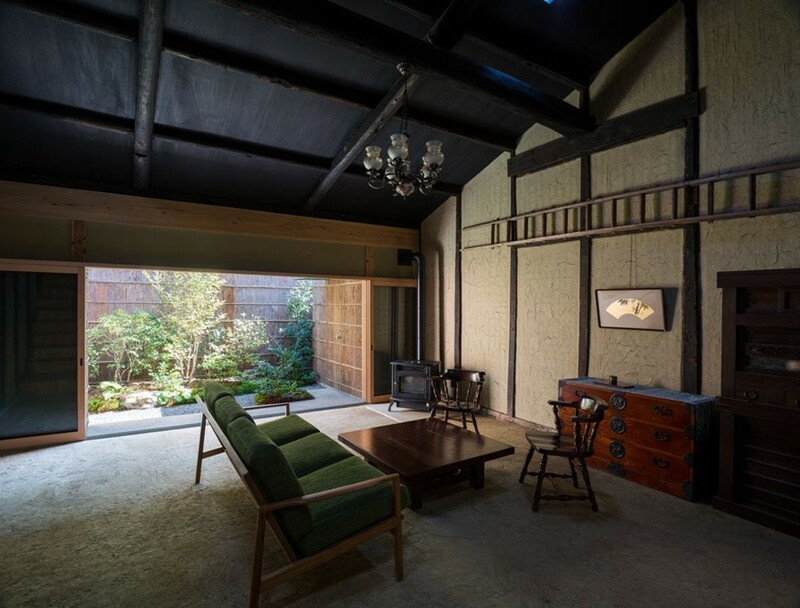 It serves to make a close relationship between exterior and interior space of Machiya, and our intervention included extension of the earthen floor from the original plan, the extended space was characterized as a gathering space offering a sense of “interior garden“. 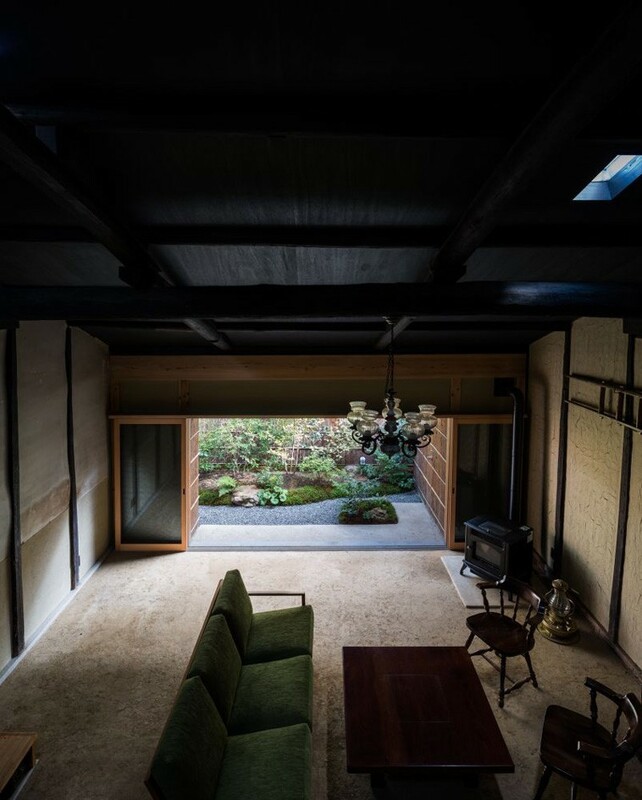 The interior space has only limited amount of light from the window and the top light, in order to create a subtle contrast of the brightness between the garden and the interior space, so that the habitant can enjoy the brilliant view of the garden throughout the day. 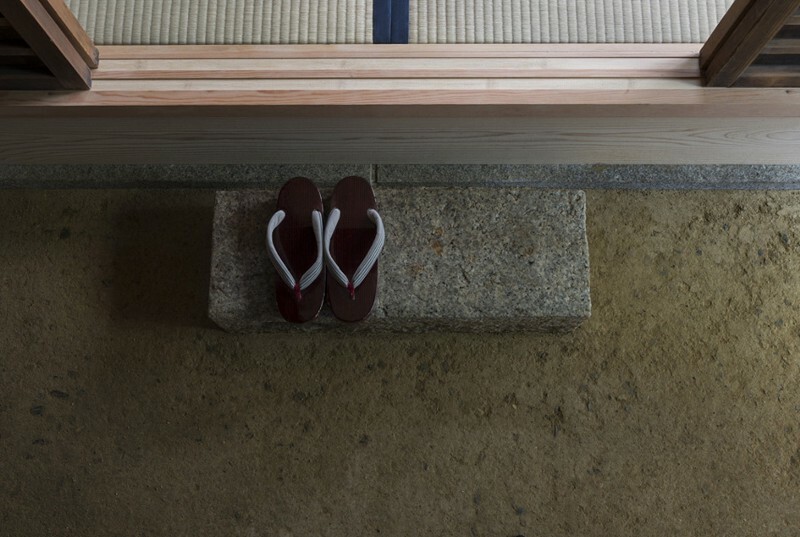 To visualize the ‘Time’ in the space that Architecture originally contains in itself, we tried to deal with various kind of the ‘Time’, not only ‘old’ and ‘new’ of the building, also ‘old’ and ‘new’ in the aspect of ‘history of architectural elements’,’ evolution process of the construction technique’, ’history of the material’, ‘construction process’ etc….. Then we made appropriate arrangement on it to make deep perspective of the ‘Time’ into the space. 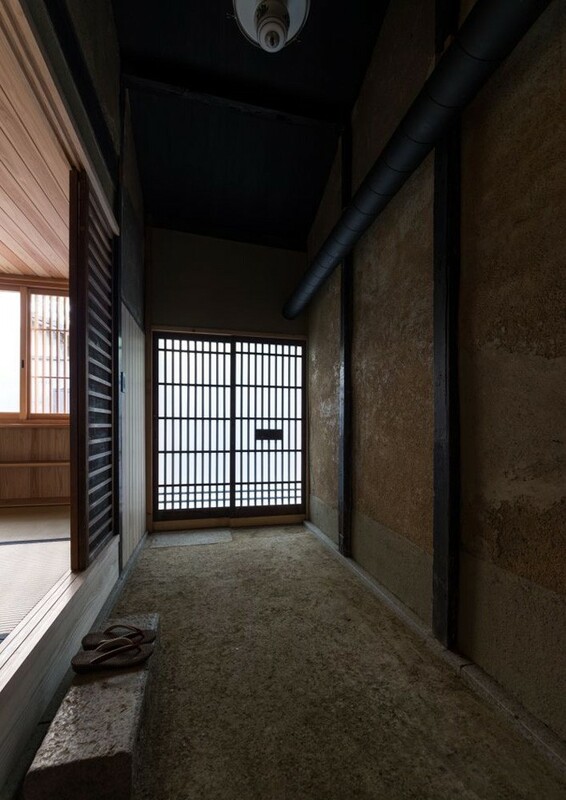 For example, we applied a very old construction technique (older than the history of Machiya) “rammed earth“ for “Hashiri-niwa“, because the earthen floor space can date back to the very origin of the dwelling of the humanities, not only the Japanese house, and in this regression we tried to evoke people of their primitive memory of their ancestor’s dwelling. 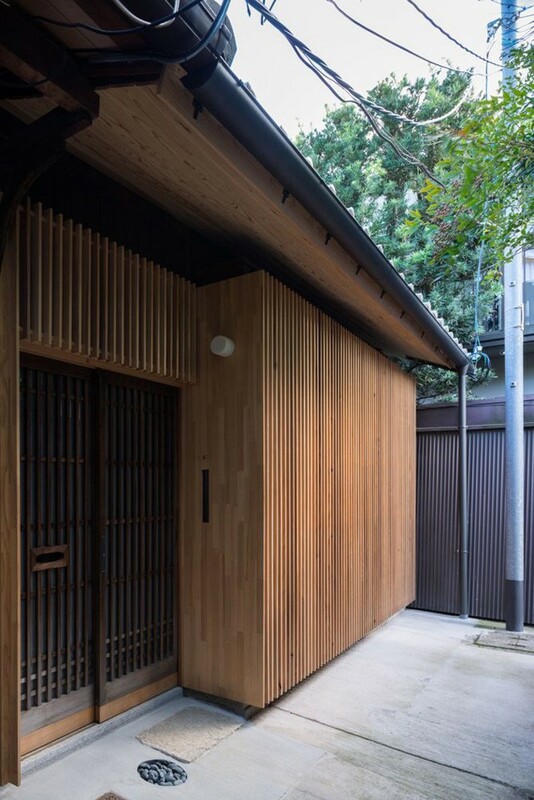 The wooden vertical louver which is a typical element of façade of Machiya, we extended them to cover all façade, as an evolutional adaptation of the traditional architectural elements into the modern urban context, to expand its function of screening the view from the street and concealing external equipments without disturbing its operation. 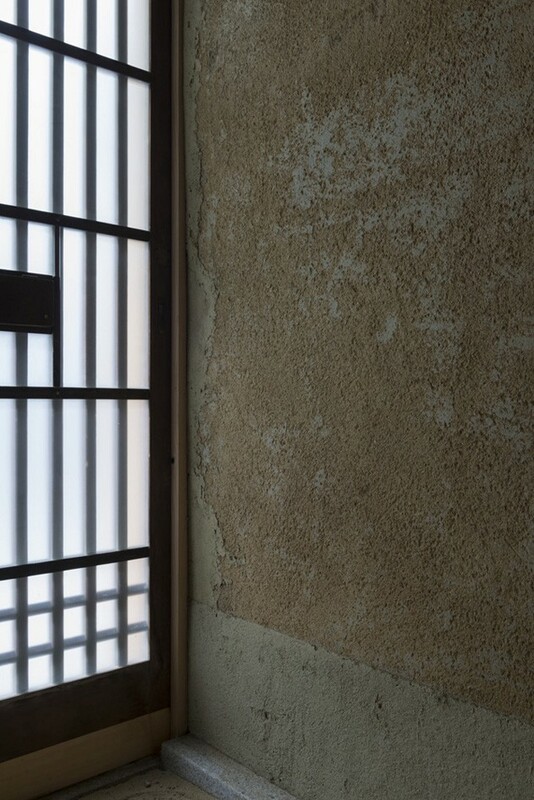 Like the ruins of the brick wall from the Roman architecture, existing architecture always reveal vertical layers like “time line“, which mark traces of construction through different periods. 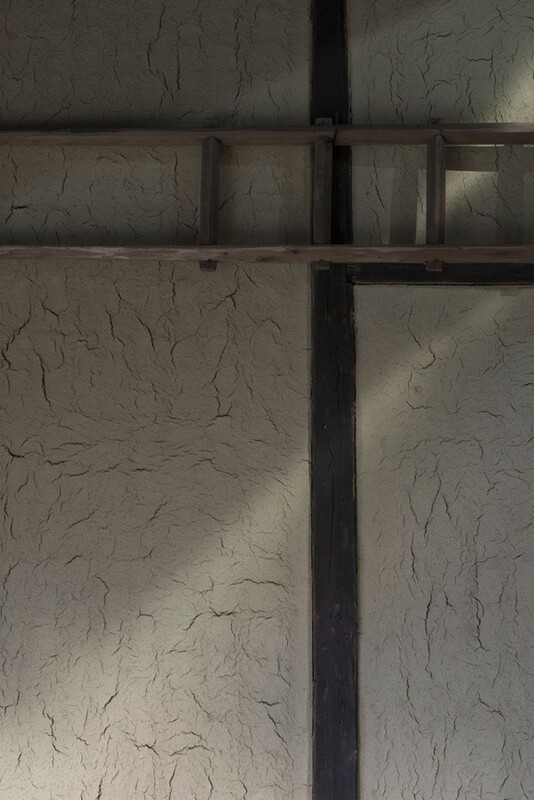 On the other hand, the mud wall in Machiya has many horizontal layers which exhibits its construction process, and also each layer has the history of the evolution of the technique. 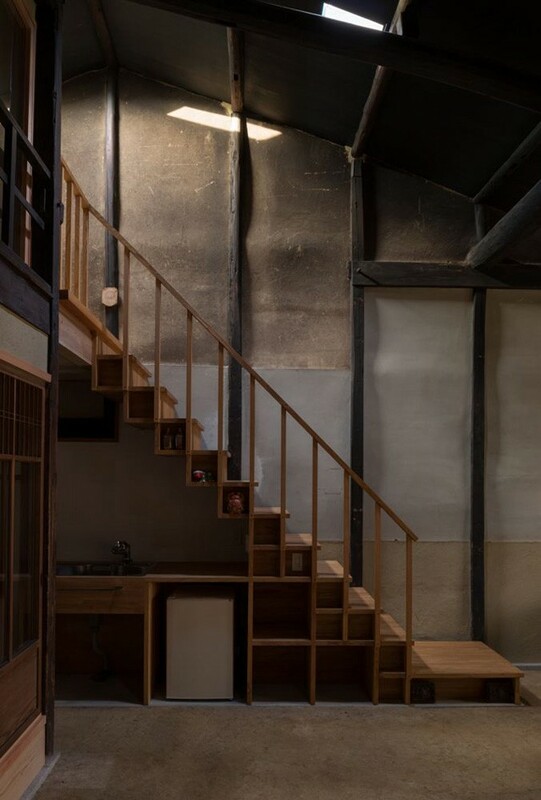 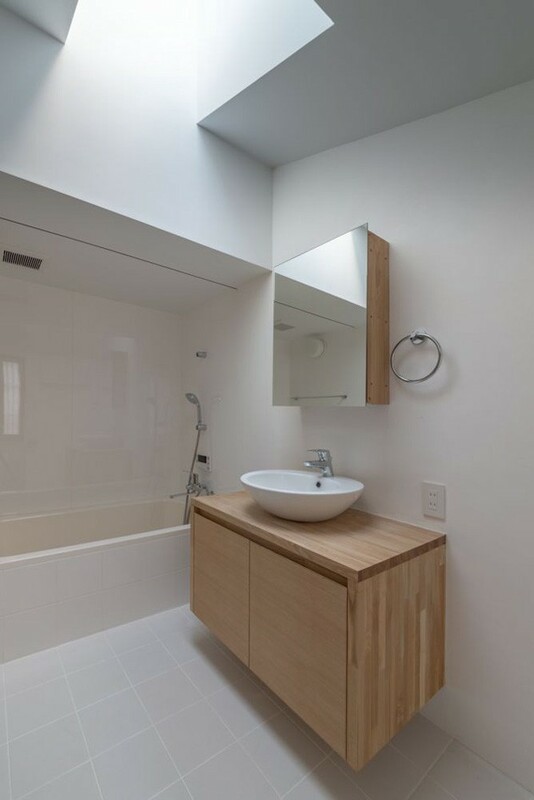 In this sense, we “finished” the wall with white plaster only in the bathroom, and the rest of the wall was left “unfinished“ to expose the gradational history of the earth wall in Japanese architecture. 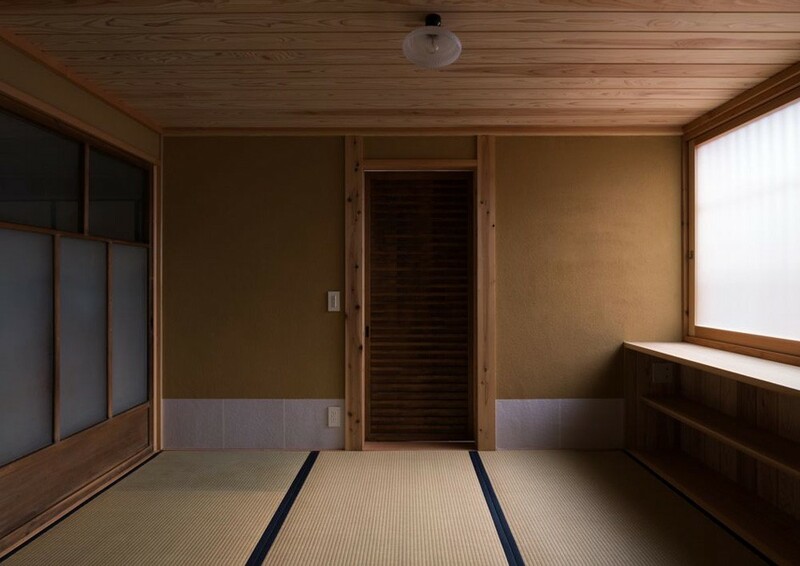 I believe the Architecture has to make relationship between not only one person and another, and the natures, present, but also future and past. 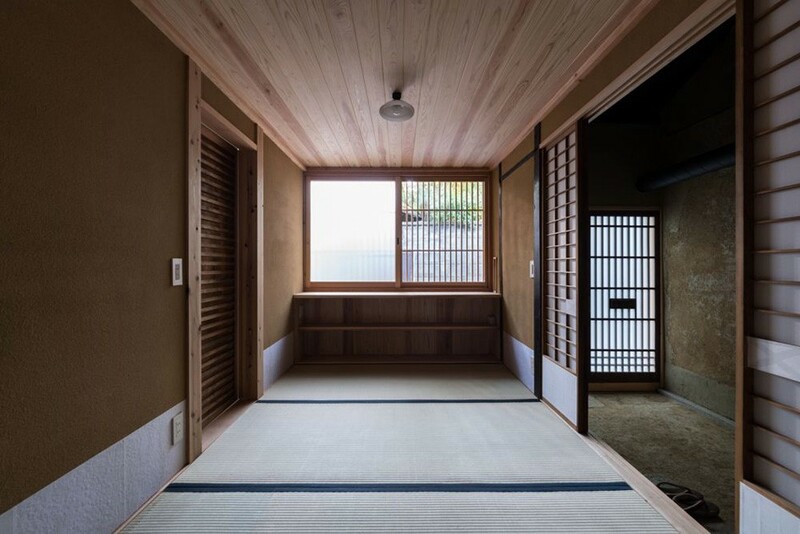 In these interventions, we visualized various kind of ‘Time’ like coexistence of ‘new but old’ and ‘old but new’, and in the same time, tried to recuperate the richness of the ‘Time’ of Architecture to remind the people living with the past and future in present.